What are the Causes and How to prevent dark circles under the eyes? Is it not important to preserve the beauty of those who let you experience the beauty of the world? Well, it is your elegant eyes we are talking about. We capture all the glory of the world with our eyes, but we often forget to take care of them. The area around our eyes is very tender and sensitive. 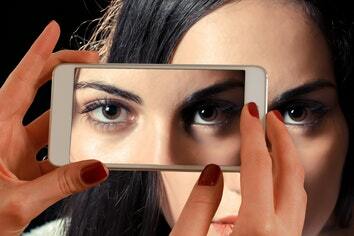 The random lifestyle of ours, improper sleep timings as well as exhaustive work make our eyes look tired and haggard, which ultimately leads to the formation of stubborn dark circles around our eyes. The hollow dark circles around eyes, not only overshadows the charm of the face, but it also shatters the confidence of a person. Concealers and expensive under eye creams also do not prove to be very effective against them. Hence, instead of trying to cure the dark circles, let us learn more about what causes dark circles and how to prevent dark circles under the eyes. What causes dark circles or undereye bags? Honestly, there are sundry reasons that contribute to the occurrence of dark circles under eyes and understanding the right cause behind your undereye circles will help reduce its onset you overcome it with ease. Excessive work pressure, strain, and lack of sleep exhaust the body. As a result, the sensitive skin under eyes turns pale and the veins and capillaries underneath become prominent and dark, creating dark circles in the eyes. Also, in certain situations, body fluid gets accumulated under the skin of the lower eye, causing puffy under eye bags. So, we always recommend taking sufficient rest and sleep to relax your stressed-out body before facing sunshine the next day. As we age, the skin around our eyes become thin and delicate. On top of it, the collagen and fat loss results in hollow circles around eyes. The veins present below the skin also become visible making the undereye skin appear darker in comparison to the rest of facial skin. Certain tasks put a lot of strain in our eyes, for instance, working continuously in front of a computer, reading books in insufficient light, etc. Such stressful tasks enlarge the blood vessels around our eyes, making them appear darker and tired. Due to certain allergic reactions, sometimes, our eyes get all itchy, red and puffed up. In such conditions, the skin in the nearby area dries up and increases the irritation and itching sensation. In response, we keep rubbing our eyes, which ruptures the blood vessels beneath, making the rims of dark circles prominent. To protect our skin from harmful UV rays, our body generates melanin, a dark pigment responsible for skin colour. The undereye skin being sensitive, starts oversecreting melanin, thus darkening the area and creating dark circles. 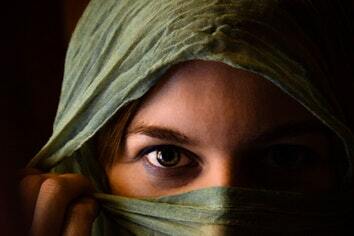 Family legacy may carry forward the genes of forming dark circles. Such cases of dark circles occur at an early age and worsen with time. How to prevent dark circles under the eyes? The eye area is indeed very delicate and sensitive. It tends to dry off and lose its moisture very fast. Hence, the specialists of Nitai Medical and Cosmetic Clinic in Melbourne suggest to always keep the eye region properly moisturized, preferably with vitamin E rich oil, before going to bed. It nourishes the skin and keeps it soft, thus pushing dark circles away. Sleep deficiency is the primary reason behind the hollow rims around eyes. So sufficient in proper timings must be maintained at any cost, especially if it is a genetic issue. Sleep heals the body and eliminates all traces of tiredness and exhaustion from eyes. After a proper good night sleep, you will notice your eyes are looking fresh and alive. Hard to believe, but lack of water consumption might also cause dark circles as the skin becomes dry and itchy when the water level goes down. So, to keep under eye circles at bay, don’t forget to drink lots and lots of water every day. Though many of us don’t know this, how we sleep also impacts how we appear. We should sleep in proper pillows, not too soft or too hard, and also, they should be of proper width, not too low and not too high. Appropriate pillows help us sleep better, in a more comfortable manner, thus abolishing even the slightest hint of tiredness. After brewing tea, don’t throw the teabags as they can help get rid of the dark circles. Just keep the tea bags in the refrigerator for thirty minutes. Then let out the chilled tea bags and place them over your eyes for another twenty minutes. Rinse and you will definitely notice a difference. The caffeine and anti-oxidants of the tea help in soothing the eyes. The blood circulation is stimulated, and the blood vessels shrink, relaxing the eyes and making the hollow rings disappear. Eyes are the most attractive part of our face. Let us help them stay beautiful, always! Do You Know About These Amazing Dark Circle Removal Treatments in Melbourne? It is said, eyes are the windows to one’s soul. When we are happy; our eyes twinkle. When we are sad; our eyes water. When we are excited; our eyes sparkle. And when we are tired; our eyes get dark circle. Don’t you agree? The busy schedules and stress of everyday life leave us tired and haggard. And our eyes being the most sensitive part, becomes the first to be affected with the signs of aging like dark circles, crow’s feet, eye bags, tear troughs and as such. But, dark circles cannot be specifically related to age factor, there are several other factors such as exhaustion, lack of sleep, genetic element, etc. that might be responsible. Hence, at any age, we might develop those dark rings under eyes and no matter how much natural remedies or under eye creams we try, they are just too stubborn to disappear. Now that we know what causes dark circles under eyes, let us find out how to lighten them. Dark circles sabotage the perfection and beauty of our face and even though heavy makeup and concealers might hide the imperfection of the dark circles, but, it does not actually erase the dark circles. At Nital Medical and Cosmetic Centre, Melbourne, we have sorted out a number of dark circle removal treatments that can be used to get rid of the dark rings around your eyes. Dark circles appear prominent because of the hollow rims around our eyes. Dermal fillers are used to fill up those hollow areas and thus it helps in restoring the natural grace and liveliness of your beautiful eyes. Apart from giving volume to the black circles, it also keeps the surrounding skin hydrated and firm, thus enhancing the appeal of the eyes that even the best eye cream for dark circles cannot achieve. Advantages: It is painless and cost-efficient. Disadvantages: If not done by an experienced and skillful cosmetic physician, then chances are he/she might overdo it thus giving an artificial look. 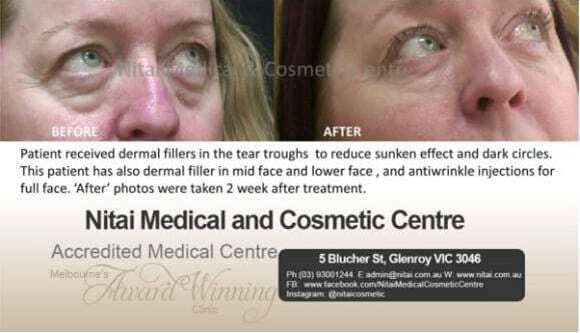 Also, there is possibility of getting an infection or allergy if this dark circle removal treatment is not carried out at a hygienic and efficient skin clinic Melbourne. Dark circles also occur when the skin around our eyes become paler and the veins and capillaries turn visible, thus forming under eye black circles. This sort of dark circles can be eliminated with laser treatment sessions. In such dark circle removal treatments, the prominence of these veins around the sensitive eye areas is reduced and the pigmentation of the skin is also depleted, thus, making the skin around eye appear radiant and flawless. Advantages: It is a painless yet effective procedure that does not require any downtime. Disadvantages: Laser rays can prove fatal if not handled by a skilled and experienced medical faculty. It is a regenerative treatment for under eye circles. In this process, platelets are extricated from the blood of the patient and later the platelets are injected around the delicate eye areas. This process boosts the cell growth in the injected areas, thus eliminating the appearance of under eye circles. Advantages: Such dark circle removal treatments have extremely less percentage of any sort of side-effects and they also reduce the appearance of wrinkles and fine lines around eyes. 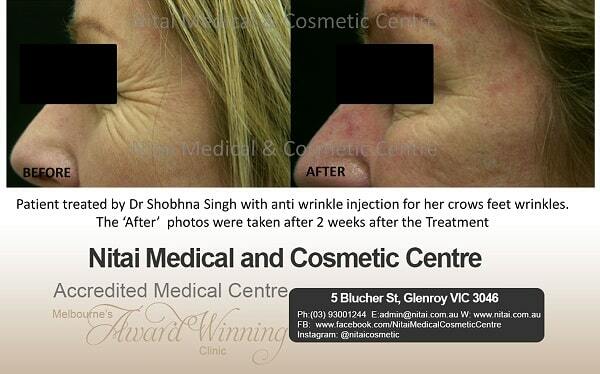 Disadvantages: Platelet Rich Plasma is a little complicated process and for maximum effect, it must be conducted at a proper skin clinic Melbourne. 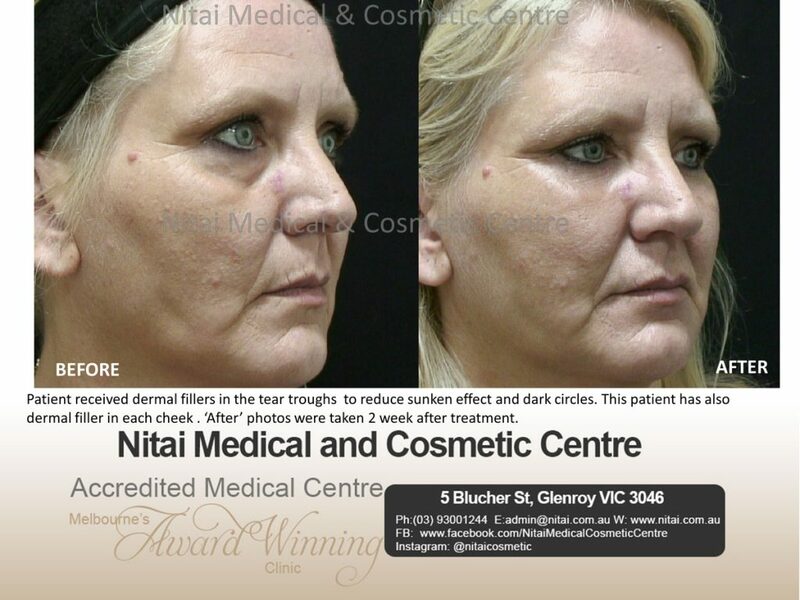 The dark circle removal treatments at Nitai Clinic Melbourne will retain your dulcet beauty but even after completing all the sessions, it is imperative to take care of the sensitive skin around your eyes by using good quality sunscreen and sun shades while heading out for the day. Also, we suggest keeping the eye area hydrated by applying a gentle moisturizer from time to time. Time to Take A Closer Look Around Your Eyes – Do They Look Aged? Eyes are regarded as the mirror to our soul, but little did we know that eyes also mirror the signs of aging. The skin around the eyes is certainly the most sensitive and delicate one. Hence, even after restricting to a proper eye care regime, the lines and folds around our eyes is a very common occurrence. These unwanted lines and creases lead to aging eyes. 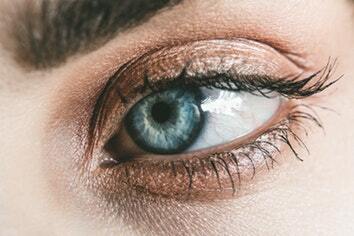 At Nitai Medical and Cosmetic Centre in Melbourne, we have been cataloguing the issues and experiences of our patients and from the descriptive study of those reports, we have discovered that the signs of aging start developing around the eye areas at first. Under eye bags, dark circles, frown lines, crow’s feet, and as such signs of aging eyes appear on our face as we reach the early 30s. In Australia, around 63% of women have expressed, in a survey, that under eye bags have become one of their utmost beauty concerns nowadays. Like two dazzling orbs, eyes accentuate our beauty with its glass-like glint and unguarded expression. But, dark circles, lines and wrinkles destroy the charm of our eyes and make us look old, tired and unattractive. So, let us take a closer look at the eye areas and learn what unpleasant changes occur surrounding our eye regions and the range of treatments that help us to escape the aging eyes. Why does our face changes with age? At young age, our face produces sufficient amount of structural proteins such as collagen and elastin that keeps our face soft and supple. But, as we all know, with age, cell regeneration process of our body slows down, thus, resulting in slow formation of collagen and elastin. Also, our erratic lifestyle, smoking, aging, etc. causes collagen protein to break down in our body over the due course of time. Ultimately, slow rate of collagen formation and its fast break down results in high collagen loss in our face, thus reducing the elasticity of skin. Due to which, when we frown or smile or procure any expression, our facial muscles contract but lack of elasticity restrains them from relaxing back to their former position. Thus, the imprint of the facial expressions etches deeper in the skin in form of static wrinkles, frown lines, and folds. Along with collagen, the subcutaneous layer of fat padding over the facial skeleton is responsible for the youthful, plump look of our face. But, with time, this fat padding also perishes, thus, creating hollow areas surrounding eyes, cheeks, etc. The much-disliked dark circles or under eye bags, which are the signals of aging eyes, are also caused by the occurrence of fat and collagen loss in our face. What are the facial changes that contribute to aging eyes? When we raise our brows, the forehead muscles contract. Continuous contraction of these muscles etches straight horizontal lines in the forehead, which gives a very old and unappealing look. Frown lines make us appear angry most of the times even when we are not, thus, spoiling the charm of the face. Crow’s feet appear in the sensitive skin around the end corner of the eyes. Basically, caused by the facial muscle movement during smiling and squinting, they become permanent over the period of time. Bunny lines are created at the bridge of the nose after repeated muscle contraction but with time, they might become permanent. Over time, due to volume loss in face as well as gravitational pull, the eyebrows of our face becomes drooping. It gives a very old and unattractive appearance. The collagen loss from under eye areas leaves that region hollow and dark, thus, lending that area a very tired and exhausted look. Skin pigmentation might appear at any segment of the skin. It might be anything starting from freckles, age spots, rosacea, broken capillaries and uneven skin tone. Volume loss in temples presents a bony look to the sides of the forehead by revealing the very prominent skull from beneath the skin. What are the available treatments to beat these signs of aging eyes? As preferred by numerous Australians, dermal fillers restore the loveliness and youthful look of our face by filling out the hollow regions under eyes. Dermal fillers are synthetically created to imitate the naturally found collagen that improves the facial appearance and at the same time, rejuvenates and hydrates the skin, thus depleting the tear troughs, dark circles, undereye bags and as such other signs of aging quite efficiently. The anti-wrinkle injections are applied to relax specific facial muscles, which are responsible for causing wrinkles and folds. These are very skilfully applied in the forehead and upper eyelid regions to reduce the appearance of crow’s feet, tear troughs, forehead lines, frown lines, etc. In the modern field of dermatology and cosmetology, Laser therapy has become a safe (with a well understood risk profile) and very competent source to replenish the skin and abolish the unwanted existence of wrinkles, lines and pigmentation from the skin. Fraxel Laser and Revlite Laser are two of the best choices to treat the eye area without any discomfort or irritation as they are non-invasive. Apart from that, the laser therapy stimulates cell growth and helps in skin tightening, thus improving overall skin quality. In this process, the body’s healing properties are taken into consideration to treat the fine lines, folds and other aging indications. A little sample of the patient’s blood is extracted at first, then the platelets are separated from the fluid and injected into the concerned area. This anti-aging treatment naturally cures the stubborn dark circles as well as undereye and upper eyelid lines and wrinkles. This platelet rich plasma therapy is suitable for delicate skin areas as it tightens the skin, lifts the wrinkles and also nurtures the skin from deep inside with least chances of side-effects or pain. Eyes not only make us look beautiful, but it also helps us see the beautiful world, so it is always wise to protect them properly. At Nitai Medical and Cosmetic Centre, we suggest to always keep the surrounding eye areas hydrated and nourished. Also, don’t forget to wear a broad-range sunscreen and sunglasses while strutting out for the day. 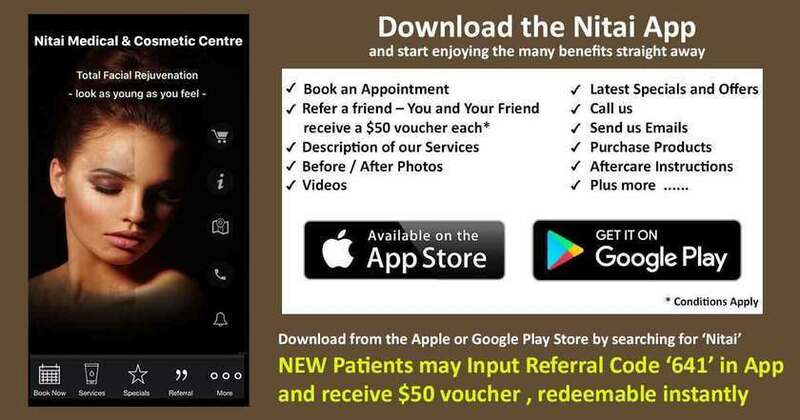 For any further queries, get in touch with our team of experts at (03) 9300 1244 or visit us at www.nitai.com.au.